UtilityScore, an online platform that allows buyers to estimate a prospective home's utility costs, is now available on REcolorado.com. As wintertime approaches and those bigger heating bills are looming, potential homeowners might be thinking about how much it could cost to live inside their dream home. 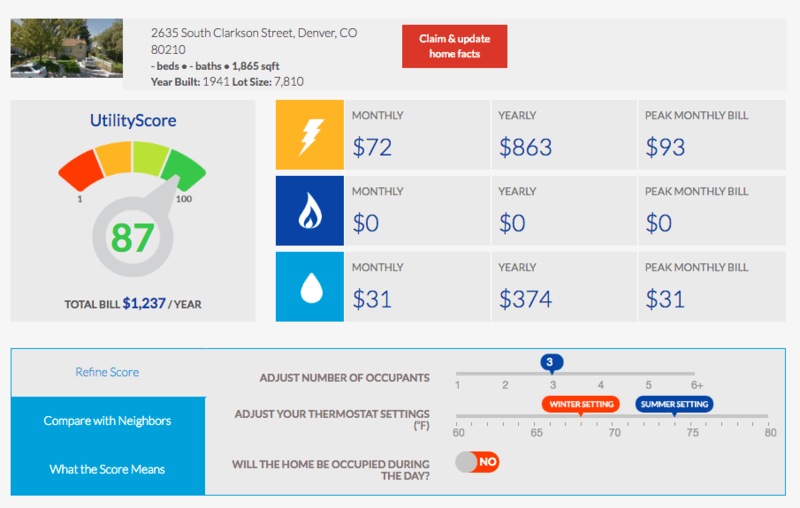 UtilityScore’s platform gives consumers an idea of what the utility costs in their new home might be, and the home search site REcolorado.com has now wrapped UtilityScore into its platform. Homebuyers can now view a home’s @UtilityScore on @REcolorado_com. “REcolorado is pleased to be Colorado’s first MLS to offer today’s savvy homebuyers a tool that will help them assess and plan for the lifetime cost of a property before they purchase,” said Kirby Slunaker, president and CEO of REcolorado, in a press release. 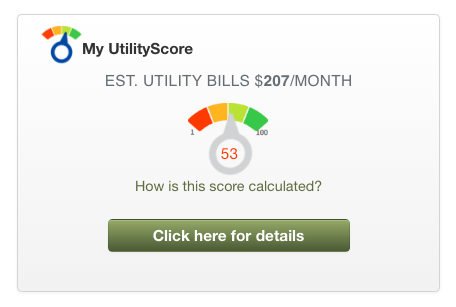 The My UtilityScore widget on REcolorado.com. To find a prospective home’s UtilityScore, buyers must search for their desired home and click on the “My UtilityScore” widget located on the right side of the screen. From there, buyers will be taken to the UtilityScore site to view specific details about a home, such as the overall UtilityScore and estimated monthly and annual electric, gas and water bill costs. Homes are rated on a score from 1 to 100, with 1 representing “very high utility bills” and 100 representing “very low utility bills.” To get a more personalized score, buyers can provide their family size, preferred thermostat settings, and whether the home will be occupied during the day. “A property’s list price is only a part of the costs associated with homeownership,” said Brian Gitt, Founder and CEO of UtilityScore, in a statement.